Sometimes animals have more compassion than we could ever imagine. 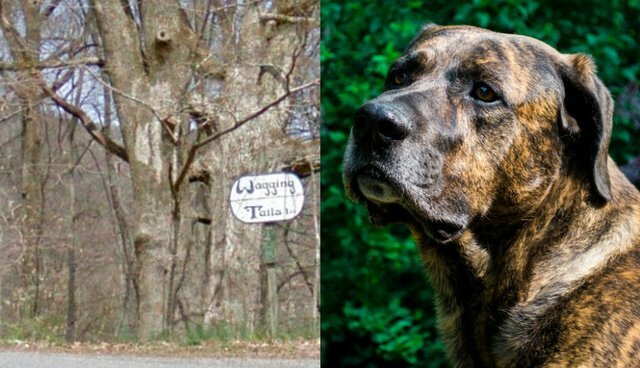 A sweet pit bull named Dixie proved just how caring she was when she stood guard all night over a little boy who had been abandoned in the woods - and saved his life. 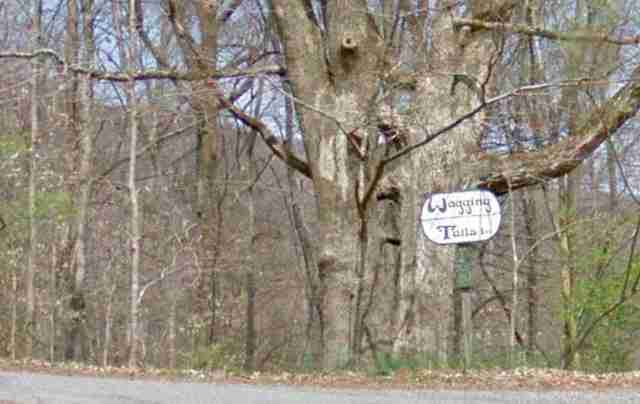 Staff at the Wagging Tails Pet Resort, a doggie daycare and boarding facility in Jacksboro, Tennessee, had no idea what was making all their dogs bark so insistently the morning of October 9. So they went out to investigate in the woods behind the kennels. "When we went down there we realized there was a baby," Wagging Tails' Kristin Dutton told The Dodo. A 23-month-old boy was in an empty pig pen, surrounded by overgrown brambles, alone except for a loyal pit bull who sat watching him from the other side of the pen's fence. "The pit bull couldn't get in there," Dutton said. But even though the dog couldn't get in to save him, she had watched over the child all night. Dutton and her coworkers hopped the fence to grab the child. "The pit bull just kind of followed us," she said. They went to a neighbor's home to call 911, and while they waited for the authorities, Dutton said, "the pit bull didn't leave our side the whole time." She was so determined to continue watching over the baby that she even tried to get in the cop car that came to pick him up. Staff from Wagging Tails had to coax her out. Dixie, it turned out, had been left in the care of the baby's mother, Virginia Cora-Lee Seal. Seal was reportedly "high on meth when she took her son into the woods and left him." She was taken into custody and charged with neglect. Meanwhile Dixie spent the entire day at Wagging Tails until she was picked up and taken back to the home where her owner, Charles Pittman, had left her. But days later, he says he hasn't seen his dog since. Now, Dixie is missing. Sadly, Pittman doesn't have a picture of her, but is asking the public to help him find her. He describes her as "a brindle pit but she's more of a light brown with white on her." Hopefully, someone who knows Dixie's story will find her and bring her to safety. After what she did, this heroic gal deserves all the love and treats in the world.